The cemetery is about 1 mile east of the Melissa Feed Yards. It is visible from FM 545, but access is from CR 1095, which is not listed on the old county maps. 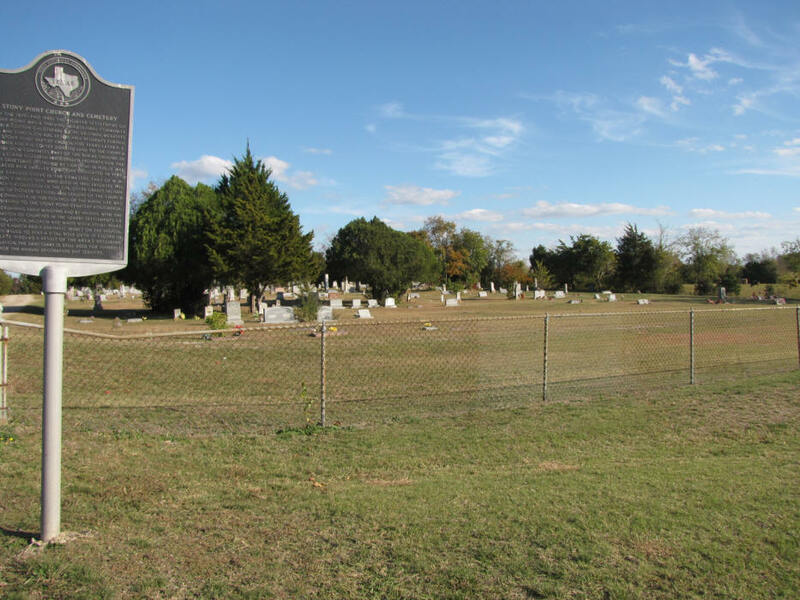 There is a historical marker for the church and cemetery. The "E" in Stoney comes and goes with whomever is writing the name. The church and cemetery are on the James Fisher survey on the waters of Sister Grove Creek. There are several deeds pertaining to the church and cemetery. The first one is listed in Vol 19, p 307. The cemetery is large, covering several acres, and is fenced. 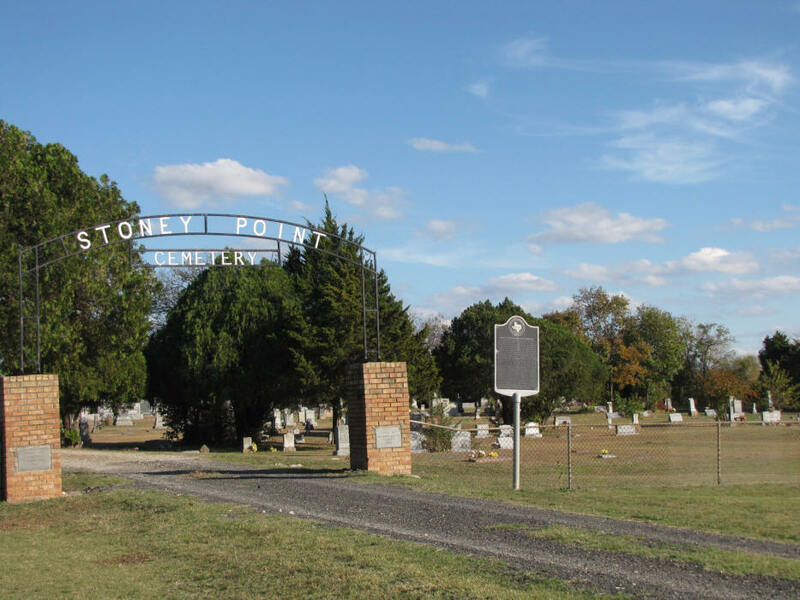 It was deeded to the Stony Point Cemetery Association in March of 1938. The cemetery is well maintained and still in use.